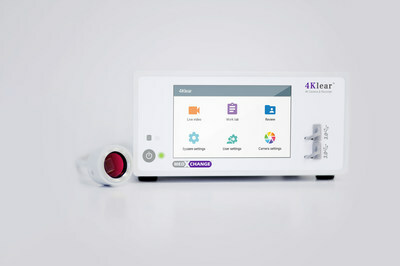 DUBAI, United Arab Emirates, Jan. 23, 2019 /PRNewswire/ -- Med X Change, Inc. will be showcasing the 4Klear, a native 4K Camera & Medical Video Recorder All-In-One Solution among other 4K products at Arab Health 2019. 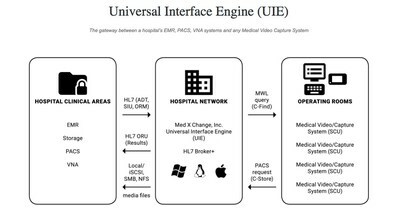 In addition to HD/4K medical camera and recording technology (Evolution4K), Med X Change will also be promoting its Universal Interface Engine ("UIE"), which is a software package for HL7 integration of hospital's EMR, PACS & VNA systems with any medical video capture system. Further technology being revealed is the MDSS (Content Management System) for HD and 4K medical imaging content. A software package designed to be a secure central location/archive for surgical video and images for local or remote access by medical professionals and authorized users.